This rod is CNC machined from aircraft grade 7075 T-651 aluminum and designed to work with a Harbor Freight PREDATOR 212cc. The rod measures 3.308"
Bearings and high strength ARP rod bolts are included. Oil groove in the crank bore that is fed through a channel in the integrated dipper arm. 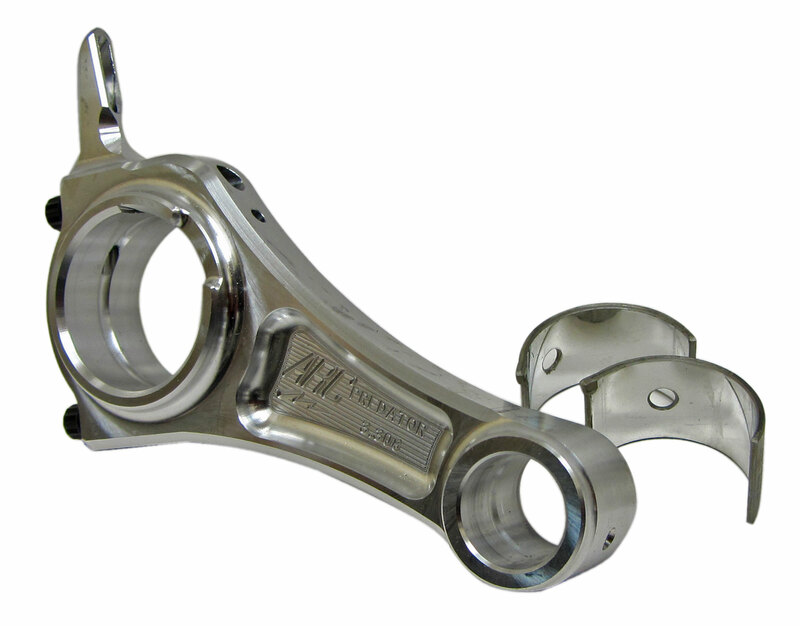 Oil groove in the wrist pin bore that provides a reservoir of lubricant to the wrist pin.